Electric razors are a bit controversial in the male grooming community. Some laud these razors for their convenience while others complain of increased skin irritation. Most serious wet shavers argue you can’t possibly get a close shave using electric shavers. 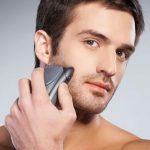 While it’s true that an electric shaver won’t give you as clean a shave as a safety razor, these devices certainly “get the job done” if you’re in a hurry. Electric razors are extremely easy to use and a great option for frequent travelers and/or people with sensitive skin. 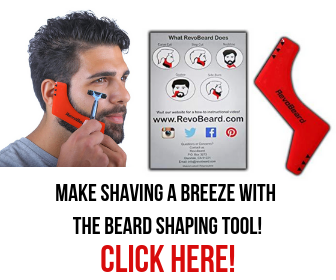 If you want to add an electric razor into your life, this article will be of interest to you. Below, we’ll go over how to get close shave with electric razor. 1. How Do Electric Shavers Work? Before we get into how to get close shave with electric razor, you have to understand how an electric razor works. Electric shavers don’t actually touch the skin. This is why it’s difficult to get a close shave with them. 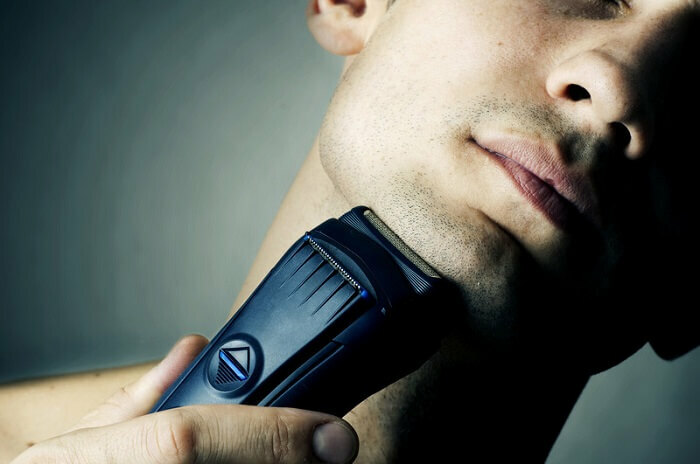 Electric shavers work by lifting up your facial hairs and then cutting them off. There are two main types of electric shavers that use different technologies. The first is a rotary shaver. This type works using spinning blades. Usually, rotary shavers have three circular blades on the razor head. The second type of electric razors is foil shavers. 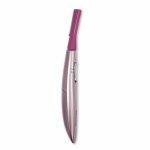 All of them feature a blade that’s covered with a thin layer of moil metal. Instead of moving in a circular motion, most foil shavers move up and down. 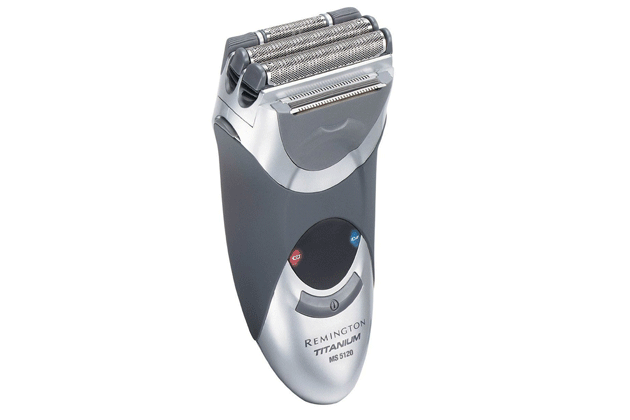 Rotary shavers are designed with motors that run at slower speeds than foil razors. This makes rotary shavers preferable for people with sensitive skin that want a quieter electric razor. Foil razors, on the other hand, often provide a closer shave. OK, now that we’ve got the basics out of the way, let’s go over how to get close shave with electric razor. First, you’ll want to clean your face extremely well. Giving your face a nice wash with warm water will help you get rid of any dirt and excess oil. The warm water will also help open your pores and loosen up your stubble. This will make it easier for the electric shaver to cut your hairs off. It’s a great idea to use your electric razor right after you get out of a warm shower. Note, you could start shaving with an electric razor dry. However, you’ll be more prone to cuts and razor burn. Next on our list of how to get close shave with electric razor is to moisturize your skin with high-quality pre-shave oil. Applying a thin layer of oil all around your face will help loosen up your hairs and exfoliate your skin even more. Men who use pre-shaving oils have virtually no issues with nicks and cuts. On top of that, they usually say their shaves feel extremely comfortable. This is another excellent strategy to avoid razor burn, which is unfortunately quite common with using electric shavers on dry skin. Anyone with sensitive skin who wants to use an electric shaver should definitely look into pre-shave lotions. Of course, this step is optional. However, it will help you get as close a shave as possible with an electric razor. 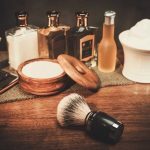 One of the most important steps for how to get close shave with electric razor is to handle your razor with the right technique. Since rotary razors have blades that spin in circles, it’s best to move this razor around your face in a circular pattern. With foil razors, on the other hand, it’s a good idea to move in a vertical motion. 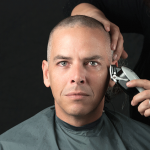 Most of the time, you can go with or against the grain of the hair with foil razors. If you want to, you could use your free hand to gently stretch the skin on your face as you apply the razor. This slight stretch will really help you get a deeper shave no matter what electric razor you’re using. 5. Does Your Razor Have a Cooling System? 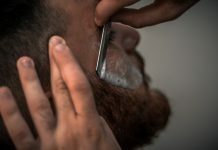 If you’re still suffering from skin irritation after following the three steps listed above, perhaps you don’t have the right electric razor for your skin. 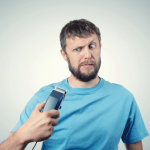 Check out whether or not your electric razor has a cooling system. Obviously, if your razor does have this cooling system, it should feel slightly cold against your face. Electric razors that have active cooling systems have been shown to decrease symptoms of skin itchiness and redness. 6. 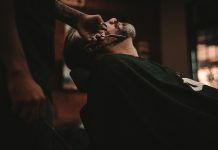 Does Your Razor Adapt to Your Face? People who are just beginning to use razors should definitely invest in an electric razor that adapts to the contours of their face. This flexible design will help you successfully remove hairs on the first pass. 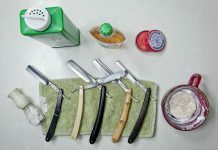 One of the major reasons men get skin irritation using electric razors is because they go over certain areas of their face multiple times to get rid of hairs. The more passes you make, the more damage you’ll cause to your skin. Contoured razor heads will help adapt to your face. This way, you can get all of your hairs out in no more than two passes. The last step in our how to get close shave with electric razor is to moisturize your skin with your best aftershave. Once you’re done shaving, wash off any excess oil that may still be left on your face. After patting your face dry, get out a good quality post-shave balm and coat your entire face. It’s highly advised you use a balm rather than a liquid aftershave. That's because most liquid aftershaves often contain alcohol. While alcohol can get rid of bad bacteria, it has the negative effect of drying out the skin and increasing irritation. Balms, on the other hand, don’t usually use alcohol. On top of that, they have the added bonus of moisturizing your skin. It’s especially important to re-moisturize your face after using an electric shaver. Also, as you’re applying the balm to your face, you can feel your skin to see if you missed any areas of hair on your face. In today’s fast-paced world, is it any wonder electric razors have become so popular? Not only are electric razors convenient, but they are also generally safe, easy to use, and affordable. The major con with using electric razors, of course, is that they can easily cause you serious irritation. On the other hand, if you take preventative measures and invest in a high-quality electric razor, you can get a professional-grade shave with minimal irritation. 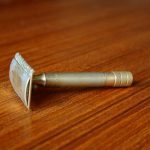 Hopefully, this how to get close shave with electric razor guide has helped you get started on your electric shaving journey.